Eye bolts (eyebolts) are threaded bolts with a loop or eye at one end. The eye is used to anchor a cable, rope or chain and used with tie downs and guiding wires; however, they are not suitable for lifting applications. 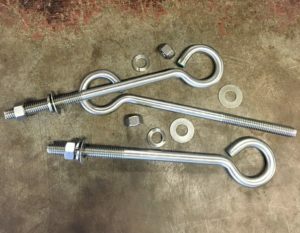 No matter what bolt type you require please do not hesitate to contact us.